The entire retail and restaurant industry has long recognized the power of cause-related fundraising, and with good reason. More than 87% of customers in a recent study indicated an increased propensity to visit a business that supported their desired cause. But there is much more to the equation than just writing checks in advance and hoping for results. Although it’s good to support our community without any thought of return business, we need to keep our businesses strong and profitable at the same time or we will be unable to support our community in the future. BR’s Cause Marketing module helps businesses convert requests for donations from fundraising groups into an ongoing profit stream for your business. The module complements any existing fundraising strategy by helping business owners set up a system that not only rewards customers on an individual level to encourage higher spending and frequency, but also donates back to the customer’s charitable organization after every visit. Unlike traditional fundraisers that might be limited to a one-day or one-week campaign, our system is designed to attract fundraising business every day of the week, all year round. Business owner creates a list of non-profit groups he/she is willing to support inside the local community. New groups can be added upon customer request in the BR back-office with a few mouse clicks. Any patron enrolled in the merchant’s loyalty program can link their registration profile to one of the local non-profit groups set up by the business owner during initial registration or even at a later date either online or by mobile text. It’s easy and fast. 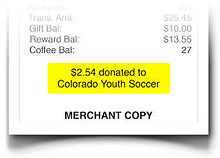 As patrons use their card or mobile number at checkout to record sales for reward earning opportunities, a percentage of the sale is electronically recorded as a donation to the patron’s local cause of choice and printed on the transaction receipt and in the next day’s automated thank you note email. Business owner cuts checks or arranges other payment means on a monthly, quarterly or otherwise agreed-upon schedule directly with the local non-profit according to donation reporting from BR’s host system. Local non-profits can login to Bowling Rewards anytime and check member sales and donation receivable activity online in real-time, which keeps the system transparent among all parties. With BR’s Cause Marketing module in place, customers understand their specific sales transaction is what triggers the donation to their cause. Instead of the business owner writing a check and hoping the non-profit or local group appreciates their donation with support of the business, the roles are reversed. Cause Marketing means the customer supports the business owner first, and the direct result of that purchase is what triggers the donation. 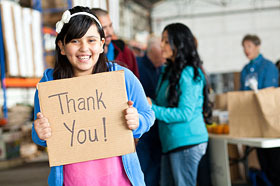 When combining the feeling of community goodwill to a group cause with the feeling of earning rewards and being appreciated with value, the business owner taps into the two most powerful consumer emotions in retail history. This dual emotional punch is a guaranteed recipe for higher engagement and higher profits. One of the greatest features of BR’s Cause Marketing module is the ability for merchants to issue non-profit leaders a login ID to access their account online. This account allows non-profit leaders to audit donations and sales activity to the penny from their group’s patronage at participating merchants in real-time on demand. In today’s era of Wall Street corruption, graft and lack of accountability, helping business owners partner with local non-profits in a manner that builds trust cannot be overestimated. Transparency is good for business and opens doors that would not otherwise be available. A properly-designed cause marketing program offers beneficial side effects such as the ability to reduce or even eliminate discounting as an advertising strategy over time since no donations occur until after the visit. Business owners are still on the hook for donations, but there’s zero expense to the business owner until AFTER fundraising members visit the location and pay full price. This is pay-per-sale advertising at its finest. BR’s Cause Marketing module allows business owners to query their database by individual cause affiliation and push out customized campaigns, even recognizing top-ranked members by sales for the month. When implemented correctly, non-profit organizations become a virtual sales force promoting the business through word of mouth (WOM) publicity, the greatest form of advertising imaginable. Learn more about how Bowling Rewards’ Cause Marketing program works by downloading our Fundraising Brochure to see how clients turn the tables on donation requests. Download our Fundraising Module Brochure.